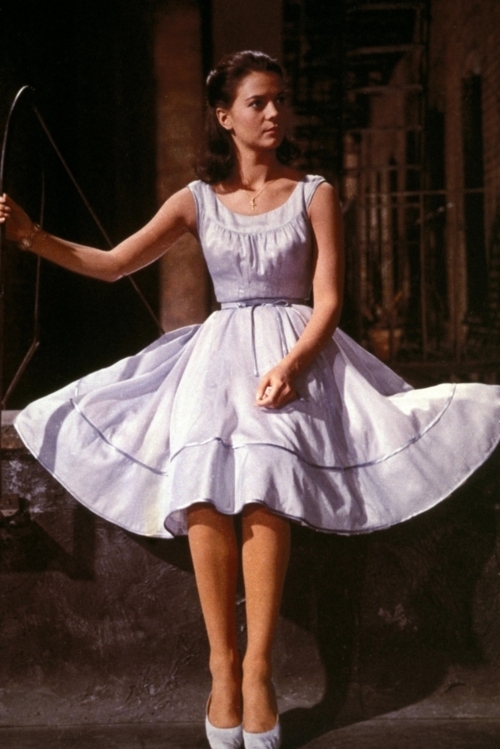 Maria in West Side Story. . HD Wallpaper and background images in the 나탈리 우드 club. This 나탈리 우드 photo might contain 폴로네즈, 폴로 네즈, hoopskirt, 크리 놀린, 농구대, 크리 놀 린, overskirt, and 오버 스커트.